Quality Choose a kennel, cattery or groomer from any where in Queensland. Our Members pride them selves in quality service and follow our association’s code of practice. Pretty Kitty All Natural Cat Grooming. Pretty Kitty is here to keep your loving Kitty clean & happy. Centrally located at 231 Victoria Rd Northcote. We sevice all Cat Grooming needs from Nail trims, Sanitart & Belly shaves, De-Shed, Bath & Blow dry, Brush outs, Tear stain remover, Softpaws and much much more. You can call us to make an appointment or call in to see our professional Kitty service first hand. Welcome to Pet Design, our goal is to develop a life-long relationship with you and your cat by providing a friendly, professional and compassionate grooming service. We value our clients, listen to them and are always careful to address your cat's individual needs. Professional Pet Grooming Service. Claws trimmed. No sedation unless specified. During your cat’s stay, you may also like to have its seasonal grooming done. We offer the latest technology in dry and hydro-grooming, along with hair and nail clipping,– all gently handled without sedation. Dental treatments and other health treats are also available. Either dry shampoo or mousse shampoo to stimulate the skin with massage, leaving your kitty feeling and smelling fresh. Reduces the amount of unwanted hair and makes the coat more manageable for easier brushing. Protein conditioner applied. Price determined by length, thickness and type of coat. Staff can advise approximate cost for your cat. For health and safety reasons, all cats must have clipped nails. Boarding cattery and Pet grooming service. Also catering for alternative pets. boarding cattery in Melbourne NSW Australia... Cloud Nine Cat Resort can offer long term boarding upon consultation. If you are expecting to be away from home and you would like your cat to be safe and well cared for then Cloud Nine Cat Resort is just the place to board your cat. We love cats! We care for cats just like they were our own. In the case of long term boarding we will provide discounts on the standard daily rate. We come to you for all your pet grooming needs, including cats, dogs & birds. Give your pet the STAR treatment with LIMELIGHT..
Hi my name is Kristy, I have 8 years grooming experience with all dog breeds and cat grooming. I can do any traditional style of clip at almost any legnth or create your own personal style. look forward to hearing from you. HOUSE CALLS, MICROCHIPPING, GROOMING, HYDROBATHING, BOARDING, PUPPY PRE-SCHOOL. IN HOUSE 24-HOUR SERVICE, HOUSE CALLS, MICROCHIPPING, GROOMING, HYDROBATHING, PUPPY PRE-SCHOOL. Our other services include: HOUSE CALLS, MICROCHIPPING, GROOMING,HYDROBATHING, BOARDING. WE SPECIALISE IN DENTAL AND ORTHOPEDIC WORK. IN HOUSE 24-HOUR SERVICE, HOUSE CALLS, MICROCHIPPING, GROOMING, BOARDING, LIVE IN STAFF. At our hospital we have highly trained caring vet nurses and our Vet, Dr Kay Pitkeathly has a genuine love for animals. We have grown our hospital by caring and providing friendly, personal and professional service. A class facilities for your pet. Veterinarian, Guinea Pigs, Rabbits, Mice, Rats. IN HOUSE 24-HOUR SERVICE, HOUSE CALLS, MICROCHIPPING, GROOMING. WE ALSO SPECIALISE IN BIRDS, HORSES, AND DENTAL WORK. AUSTRALIAN SMALL ANIMAL VETERINARY ASSOCIATION ACCREDITED "HOSPITAL OF EXCELLENCE"
HOUSE CALLS, GROOMING, HYDROBATH, PUPPY PRE-SCHOOL. 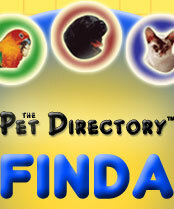 IN HOUSE 24-HOUR SERVICE, HOUSE CALLS, MICROCHIPPING, CAT GROOMING, BOARDING, PUPPY PRE-SCHOOL. HOUSE CALLS, MICROCHIPPING, GROOMING, PUPPY PRE-SCHOOL. Our vets also have special interest in: DENTAL. HOUSE CALLS, MICROCHIPPING, GROOMING, BOARDING, PUPPY PRE-SCHOOL. Caring for all your family. Mobile washing and clipping and full grooming services. Cat clipping also available. Qualified dog and cat groomer. Servicing central Gold Coast Queensland and out to Mudgeeraba and Nerang, Southport areas. Caring for small animals providing total pet care. Vaccinations, dental care, desexing, dog and cat grooming. Other services include: IN HOUSE 24-HOUR SERVICE, HOUSE CALLS, MICROCHIPPING, GROOMING, BOARDING, PUPPY PRE-SCHOOL. Formally known as South Grafton Veterinary Clinic. Cat Grooming by a qualified Veterinary Nurse with 6 years experience. No Sedation. I use aromatherapy and technique to complete the grooming process. Lion clips, shed-less treatment, nail clips, bath and blowdrys available. Lexie is currently studying to become a certified master cat Groomer at PCGAA to better herself. All done at my home parlour. 20 mins south of perth. Cat Grooming: Conditions apply. We are able to provide matt removals, full body (lion) clips, belly clips and nailtrims for cats. Bathing is also available. Cat appointments are restricted to the last appointments of the day, usually on Thurs, Fri and Sat (negotiable). Give your special feline friend that "just out of the beauty parlour" feeling. Deception Bay Veterinary Clinic cat groomer Cat Clipping Give your special feline friend that "just out of the beauty parlour" feeling. We have a fully qualified and experienced pet groomer on site. Clients are welcome and encouraged to come and meet Michelle and discuss any special requirements to suit your pet. More difficult clippings (e.g. matted Persian cats), can be done by the nurses or veterinarians under sedation. Hydrobathing facilities are also available. professional groomer is available to pamper your pet! All clipping and grooming is done on site with veterinary supervision available, so even the most reluctant pet will be in the best hands. Cat grooming is a special service we offer at the Croydon Pet Hospital. We will strip (comb or brush out) or clip your cats coat as much or as little as you would like. All cats receive either sedation or full anaesthesia. The decision of which depends on your cats age, health status and tolerance levels. We feel that it is kinder for your feline friend to not experience any stress or discomfort during their stay. For prices on grooming your cat please phone the clinic and speak to our staff. Cats are exceptionally clean animals that like their coat spotless and knot free, however, at the Village Vet we understand that this isn't always possible, that is why we can also provide cat grooming from basic brushing to full cat clips. Whether your cat just needs some knots trimmed out, its face or bottom cleaned up or even the entire coat shaved off, we can provide you with the service you need. Please note that with cat clips sedation is almost always necessary to keep the cat calm. Our veterinary clinic offers dog grooming and cat grooming services and caters to dogs and cats of any size, shape and breed. Regular grooming is essential for both dogs and cats and can be completed during any month of the year. The dog grooming service includes Hydrobathing, clipping, brush-outs, and blow-drying. Cats are generally groomed under sedation supervised by a vet and vet nurse. Brushouts, knot removal, and "lion clips" are the most commonly requested grooms. Services include chiropractic and dental. Below is a description of the Soft Claws product, the price stated is the RRP. Resellers will not be paying this price. One Side has a Light Grip surface to remove hair from Clothing, Lounge Suites, Car Upholstery, bedding etc The Other Side has a Super Grip surface to remove hair from Carpets, Rugs, Pet Beds and even your Pets. We retail the Furminator which is suitable for removal of loose coat and undercoat for your cat. This unique tool helps to almost eliminate cat hair in your home as it removes 80% of the shedding coat. Great for people who suffer allergies due to cat hair. Furminator, remove loos coat and undercoat, deshedding tool. Great ranges of grooming supplies for clean and healthier dogs. Visit us today! Our future goal is to continue providing you with high quality products - from my family to yours - while providing a fast reliable service and great pricing. Your business is important to us and we will do our best to meet your expectations. Our products include clippers, blades, dryers and massagers and an extensive range of animal grooming products. Clippers for everything from Dogs to Horses. Sharpening and Servicing of all Clippers products available too. *There are currently 541 people online.